This series includes the 100th episode of "the Router Workshop" which features the Nut and Candy Carrousel. 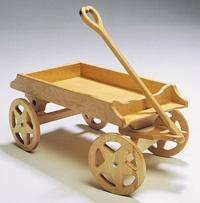 This unique project uses an interlocking pattern design every woodworker will want to build. 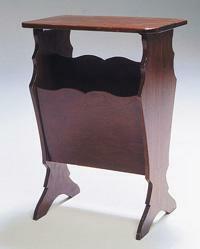 Learn about reverse inlays from the Inlaid China Chest. 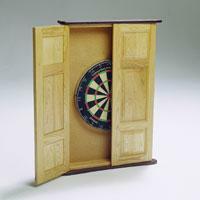 Kids will love the Wooden Wagon, the panel door Dart Board will add excitement to your rec room. Knick-Knack Shelves, a Tea Tray with contrasting wood and Towel Bars add variety to the projects in this series. A replica of the 1920 Magazine Table and a timeless Library Stool which folds out to make a small stepladder are useful and attractive additions to your home. 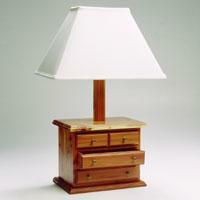 Finally a Chest Lamp complete with hidden mitre joints and interlocking slot joinery provides both light and storage. Router experts, Bob and Rick Rosendahl, show you how to inlay a beautiful, Hand-Painted China Plaque into a traditional Walnut Trinket Chest for a truly unique project. While Bob shows you how to use the inlay tools, Rick shows us an interesting way to cut simulated feet in the base. That’s the “China Inlaid Chest”…Today on the “Router Workshop”! 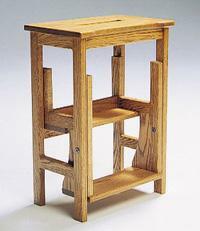 On the “Router Workshop”, Bob and Rick Rosendahl craft a project that is not only beautiful but very handy too…a folding “Library Stool”! Rick shows you how to use a shop-made jig to pattern cut the step fronts and hand hold while Bob shows you how to cut the dovetail slots and pins. That’s all on “The Library Stool” in today’s episode of the “Router Workshop”! This time on the “Router Workshop”, a “Tea Tray” with a unique personal touch. 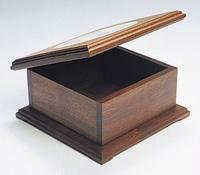 Master craftsmen Bob and Rick Rosendahl show you how to use contrasting wood, box joints cut on a 45 degree angle and your router to mill this ornate serving tray. Bob routs the box joints while Rick cuts the hand holds with a shop-made fixture. You’ll find a thousand and one uses for the “Tea Tray”. Sharing tricks of the trade, router experts, Bob and Rick Rosendahl show you how to combine a portable router and a table-mounted router with special shop-made fixtures, to create two matching side panels with dovetailed shelves! Functional, inexpensive and very satisfying to build, the “Novelty Corner Shelf”…today on the “Router Workshop”! In today’s episode of the “Router Workshop”…router experts Bob and Rick Rosendahl will show you how to pattern cut a variety of beautiful yet functional towel holders. 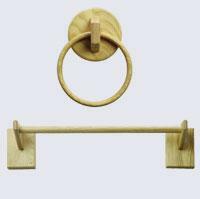 Bob shows you how to craft a towel ring while Rick reveals the secret to cutting perfect, round dowels for your towel bar. That’s the “Towel Bars” on the “Router Workshop”! 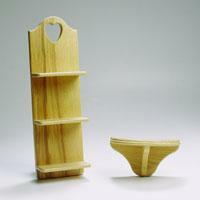 These are “Knick-Knack Shelves” and they’re ideal for all your little treasures. 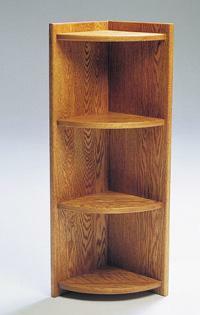 Router experts, Bob and Rick Rosendahl show you a quick and easy way to use dovetail joinery to attach the shelves. You’ll also discover a unique method of cutting the heart hole and top shape on…”Knick-Knack Shelves”…today on the “Router Workshop”! In today’s episode of the “Router Workshop” router experts Bob and Rick Rosendahl craft a beautiful “Dart Board Cabinet” that will enhance any games room. Bob will show you how to create the casework and pattern cut the top and bottom caps while Rick creates the beautiful raised-panel doors! That’s the “Dart Board Cabinet”…today on the “Router Workshop”! This is a truly unique, one-of-a-kind, “Chest Lamp”. Sharing tricks of the trade, router experts, Bob and Rick Rosendahl show you how to use an ordinary “V” groove bit to create unusual stepped mitre joints in the case work and a stacked slot cutter to cut lock joints for the drawers. A truly beautiful project, the “Chest Lamp”, is seen today on the “Router Workshop”! Your biggest problem will be finding a shade to go with your lamp.